Art and Artists Hub for the Arts! DJ Golden is a high energy real estate professional with a proven track record for high volume sales over her 30 year career. DJ owned and managed a general real estate company, Golden Realty Group in South Florida, working hand and hand with developers implementing marketing strategies to introduce new waterfront complexes along the South Florida's east coast. Owning her home in Connestee Falls for 16 years, DJ's in-depth knowledge and expertise along with her sincerity, integrity and "can do" attitude, is a perfect fit with Connestee Falls Realty. 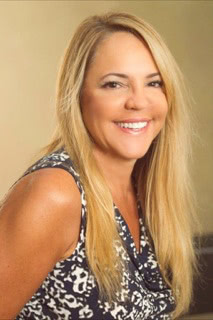 Additionally her certification as a Resort and Second Home Property Specialist leverages her expertise and services while giving both buyers and sellers confidence in her ability to market and to sell area properties. As an avid hiker and fitness buff, you might find her hiking one of the over 14 miles of hiking trails in Connestee Falls. Because of DJ's outgoing personality, she has gained recognition in the community as the go-to person to assist as a knowledgeable Real Estate Professional. Give her a call today to see how she can help you too! Looking out of state for the perfect vacation home can be a challenge. It takes the right realtor-one that has the ability to listen and key in on the desires and needs of the buyer. We were fortunate to have DJ Golden as our realtor who truly selected several good choices. Initially, we were focusing on a particular home, but DJ told us to hold off as she was aware of something special coming on the market and she was right. DJ introduced us to a Lake home having that mountain flare and special artistic features created by the owner's husband. DJ handled the negotiations with skill and we obtained an excellent buy. It was also comforting to have someone capable to handle all the infinite details of the translation till closing. We personally recommend DJ for her in-depth knowledge, tenacity and on-going positive attitude. I wish I could find the perfect way to thank you for being so thoughtful in the myriad of details you handled in marketing our home. Caring is such a part of who you are that I'm sure you're not even aware of some of the little kindness you do and what a difference they make. The burdens we faced being out of state to property get our home ready for market you simplified by handling and overseeing all the contractors. Your honest and integrity helped us tremendously. Your generous spirit has made such a difference, and we greatly appreciated you being there for us.